TIMES SQUARE, New York (WABC) -- Glenn Close returns to Broadway reprising the infamous role that won her a Tony in a new production of "Sunset Boulevard." More than two decades have passed since the star won the award playing the role of Norma Desmond, a faded film star who finds herself falling for a younger man. The original production sold over a million tickets, which is remarkable if you consider Close didn't consider herself much of a singer before she started working on it. "I was the worst singer in the ensemble when I started," Close said. "I learned how to sing in this show." 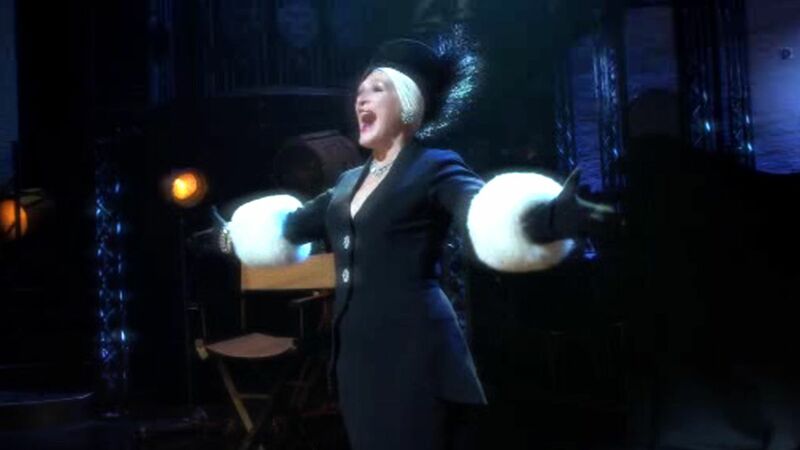 After over 20 years, Close is ecstatic about revisiting this iconic role that won her a third Tony award. "I've had 22 years of craft under my belt, and to re-visit one of the greatest roles ever created for a woman, for me was a luxury," she said. The opening of this musical marks the fourth hit composed by Andrew Lloyd Webber on Broadway at the same time. It marks a new Broadway record for the composer, and incidentally, he is now known as "Lord Andrew Webber" thanks to his achievements. But he still prefers Andrew. "It's probably the richest story you could ever have as a composer," he said. The story originally began as a movie starring Gloria Swanson as as Norma Desmond. The current production is a stripped-down version of the original that was too expensive to turn a good profit, but judging by the reviews, less is actually more. The revival, which is said to be bigger and brighter than we know it, can be seen at The Palace Theatre. For more information on the show or to buy tickets, visit PalaceTheatreOnBroadway.com/.